This method ensures that the cell will always has the date which you have written into it. 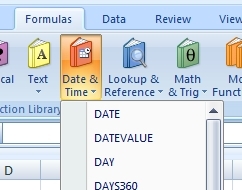 If you need date changing always to current, you have to use Date & Time functions. To insert the current date use the function TODAY(). To insert the current date and time use the function NOW(). These functions do not require any arguments.